Writing and speaking is based on grammar accuracy, in order to write and speak well you must follow specific sentence structure. Indeed, sentence structure refers to where words need to go and how you build sentences. This lesson focuses on two parts of sentence structure Direct Object and Indirect Object. However in order to fully comprehend direct and indirect objects, you need to review some of the basics of sentence structure: subject, predicate and objects by clicking here. • Ali is writing Zahra a letter. In this sentence “Ali” is the subject or who performs the action; the predicate is the action verb is “writing” and all words that follow. What are the other nouns or pronouns that give meaning to the subject “Ali”? Both “Zahra” and “letter” are objects in this sentence. Now let’s look at the types of objects. There are two types of objects: Direct object and Indirect Object. The action is “writing” so ask yourself “what is being written”? A “letter” is being writing, so “letter” is receiving the action and is the direct object. • The postman gave her a letter. What is being given? In this sentence, a “letter” is receiving the action and is the direct object. • Ahmed drove his car. What is being driven? “car” is receiving the action and is the direct object. “Ali” is the subject and “writing” is the verb. Ask the question “writing what?” a letter, which is receiving the action and is a direct object. 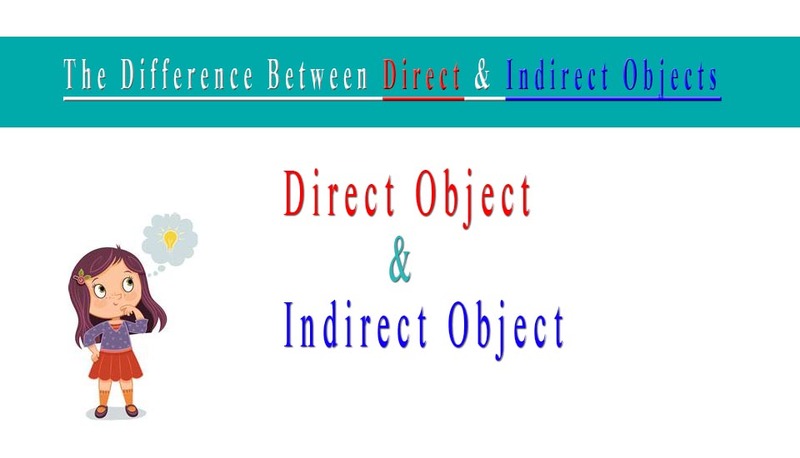 Ask “who is receiving the direct object?” Zahra is the indirect object who is receiving the direct object. “Ahmed” is the subject and “drove” is the verb. Ask the question “what is being driven” car, is the direct object. To determine the indirect object, see ‘who is receiving the direct object?’ His is the indirect object, and it came before the direct object in this sentence. ‘The postman’ is the subject and ‘her’ is the direct object that is receiving the action. To determine the direct object ask the question ‘who is receiving the direct object?’ her, is the indirect object who is receiving the direct object.